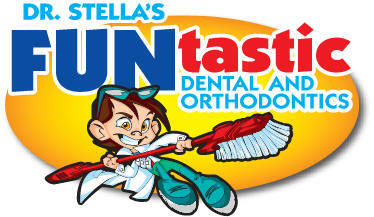 We have a new name and new dental characters to our “Guardians of the Smile” crew. The changes reflect the new services we have to offer, such as orthodontic services. We love to give recognition to our new friends. Here are the new patients that became members of our practice family this October. We’d like to welcome you & wish you all the best. Azalie Adams, Vincent Arizpe, Harper Arnold, Oren Artstein, Isaiah Campos, Brendan & Grace & Hannah & Ruby Carr, Nicole Cheshire, Jakob Cobb, Franco I. Correa, Brandon Edralin, Ivan Esprada, Frank & Joe Finch, Steven Fitzer, Mia Flores, Gabrielle Fuentes-Daley, Francesca Garcia, Adryan Gavilanes, Beatrix Gschweng, Claire Guetig, Dylan Gurrola, Joaquin Gutierrez, Jonathan Hardy, Aleksander Helvey, Shaye Hillyer, Shamaiah Jefferson, Dylan Le, Julian Leon, Alexandra Liechty, Samantha Lopez, Madeline Martin, David S. McNeal, Nicole Olsen, Dylan Patag, Stella Pinon, Robert Pitones, Ivan Ruelas, Emily Sandoval, Mariana Silva, Sofia Thomas, Addison & Carrington Tolliver, Liam Uchiyama-Arcila, Gianna Villalobos, and Gianni Zardes. Thanksgiving is just around the corner – November 25th being the precise date. It is one of the most anticipated holidays of the year. Thanksgiving is also associated with many foods and the best part is that not only are these foods delicious; they are nutritious and some are great for your teeth. The following traditional foods at Thanksgiving help prevent tooth decay and gum disease and hence lead to good dental health. washes away food debris in the mouth as well as decreases acid production in the mouth. Carrots and Celery: Carrots and Celery are vegetables which are rich in fiber. Besides being great for your stomach, fiber stimulates your gums, which is good for your dental health. Sweet Potatoes or Mashed Potatoes: Potatoes are richly nutritious with a proper balance of vitamins and nutrients appropriate for oral health. They are loaded with carbs and proteins and rich in vitamin B and C. Potatoes do not stick on the teeth like other starchy foods, which serve as haven for oral bacteria. Cranberries: Recent research indicates that cranberries hinder the oral bacteria from sticking to the teeth and forming dental plaque. Turkey: It is considered to help in remineralization of the enamel whose minerals are damaged by acid produced by bacteria. Greens and Winter Vegetables: Most Veggies are just great for health. They are a great source of vitamins and minerals such as vitamin A, vitamin C, flavanoids and coenzyme Q10. These prevent the gums against damage and promote its healing. Pumpkin Pie: Pumpkin pies are also a good source of beta carotene, potassium, vitamin C and calcium. So, now you can see that the tasty Thanksgiving foods are great for dental health as well. December 31, 2010 – they do not carry over into 2011. So, it’s use it or lose it! completed, please call Veronica or Kerin at 562-627-8800 right away to make sure we can work your child into the schedule over the next two months. Schedule part of the work in December to use up 2010 benefits, then…. don’t be stripped of your remaining dental benefits. Don’t waste the money you’ve paid on dental insurance premiums all year – Give Us A Call Today! Mom and Dad Can Have Perfect Teeth Too! Focusing on your kids’ teeth so much that you’re neglecting your own? If you’ve been thinking wistfully about having your own set of perfect teeth, let us know! We are specially trained to offer an adult-friendly option for straightening teeth called Invisalign. Because they’re clear, your teeth will be steadily straightening – and no one will know it but you! Your teeth are unique, and the cost of Invisalign varies according to the complexity of your treatment plan. The time involved in treatment varies as well, and with new Invisalign Express, designed specifically for common problems like minor crowding and spacing, you could have your new perfect smile in less than six months! If your health care plan covers orthodontics, it most likely covers Invisalign treatment to the same extent as conventional braces. Check your benefits, or better yet give us a call (562) 627-8800 and we will check you benefits and set up a free consultation, so we can discuss the specifics of your treatment.